Sounds like a whole lot of fun! I wish we could find something close by to where we live. I really think some of these activities would really help our Razer. I can’t seem to find anything. Maybe I’m looking in the wrong places. Any suggestions on how to start? Great photos of things that look super fun. I have really wanted to try SUP and even kayaking by myself but now I think I need to take my pups along with me. But, first to find a place in Kansas that can help me get started! We have! One of the trainers here recommended dock-diving for our reactive dog. Oh my goodness, I have to drag her out at the end of class. She is so focused on gettin up on that dock, she has lost any sort of interest in the other dogs in our class. Being around so many while that focused on the dock has helped tie up a lot of ends with all of our training. I can’t wait to try paddle-boarding with her, that sounds like a great idea! Our pup is like this! He is part Greyhound, so we are trying to figure out if its best for him to do agility or dock dive (hubs and i want him to do dock dive, but worry it might not be tiring enough. Although, Sarah in the comments makes a good point about focusing, so it might be our best shot with him). Thanks for posting this Chick! We live in the Virgin Islands and there are a ton of rescue dogs here due to the lack of spay and neutering with the local population, among other issues. My first rescue is a slightly skiddish and fiercely protective (of me) half pitbull (shes the kind with the short legs but the same muscular build as a full size) who has some intense issues with new people, mostly men. But you take her onto a beach with a Frisbee and there is nothing BUT that Frisbee in her mind. Toys are the best distraction for her when she is around new people, but nothing works as great as a morning at the beach with her Frisbee. She catches it mid air, swims out into the waves and dunks her head underwater to get it too. Then when we come home, she’s happy, tired, and easier to introduce to new people. I can’t wait to try kayaking with both girls. 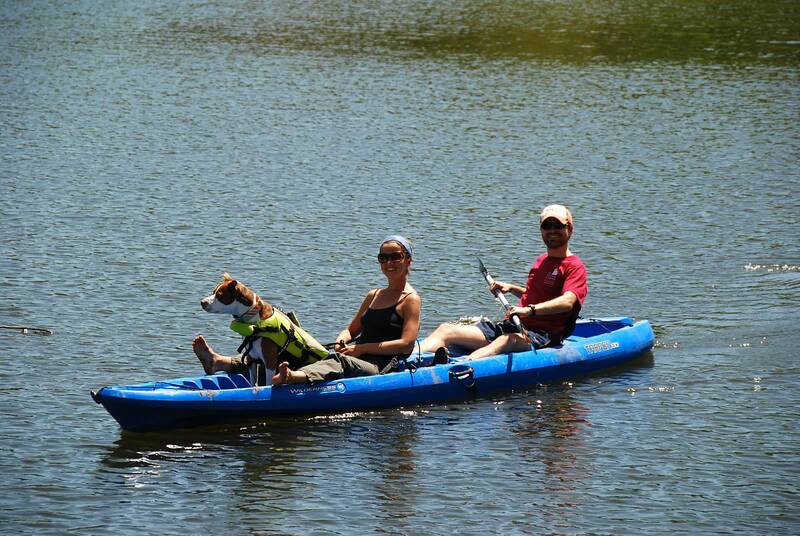 We have a huge two-seater ocean kayak, I just never realized it would be a good workout for the dogs too. Love your blog and your positive pit bull love. Here are some more pictures of Janie: http://sustainabilitea.wordpress.com/2012/06/05/janie-3/. your janie is really cute. so is your story of her doing tricks on her own. Janie was our foster dog, so she has a forever home now but not with us. 😦 We couldn’t keep her at the time but are happy she’s with a family who loves her. She had a lot of other winning ways which I hope to get to soon! She was a cutie! Thanks for stopping by and commenting, too. Is “running the lure” something I could set up at home, or is it something that requires going somewhere? I have a 4-year-old mixed breed, Tessa, who’s becoming more and more reactive, because (I admit) she’s bored and doesn’t get enough exercise or other stimulation. She doesn’t want to play–she’s not the least interested in toys. Things got worse when our local “dog beach” got closed down–now there’s nowhere to swim, so they’re not getting any opportunity to really get wiped out. Last week, took the three of my dogs to hike in the woods with other dogs, off-leash. Tessa tracked a critter under a fallen tree (which was fenced off), dug a path to it, pulling out huge roots, then Cassie, age 8 and smaller, jumped in to pull the young groundhog out. Connor, age 9, then took over to pull it apart. One of the guys in the group had to hurt Connor (I found out later he did something to Connor’s ear) to get Connor to drop the groundhog. Clearly, I have to do more with them. I would welcome suggestions from everyone. We got into agility with our first rescue (golden/border collie) for better recall, stays and focus work. She is now our advanced dog. She has competed and done well against her purebred peers. 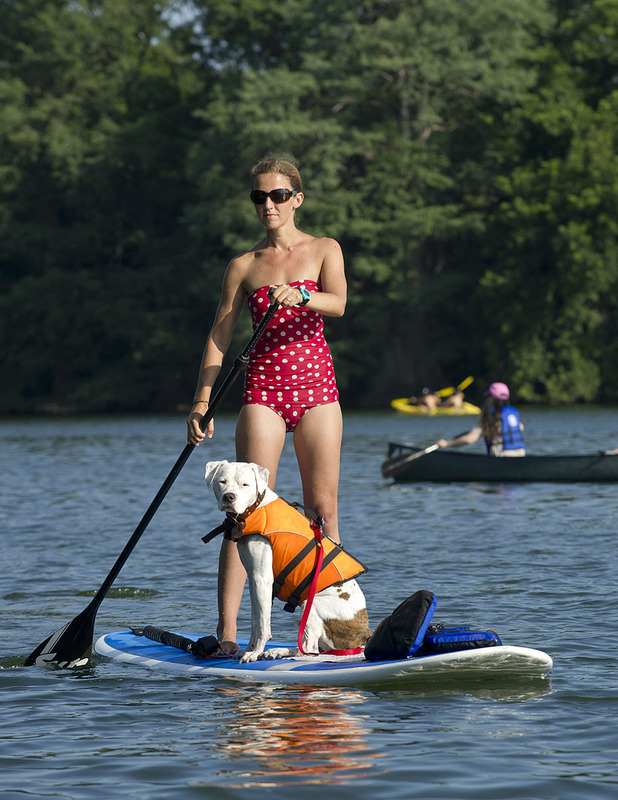 Love the polka dog bathing suit! Awesome, Chick! You look like a natural out on the water! 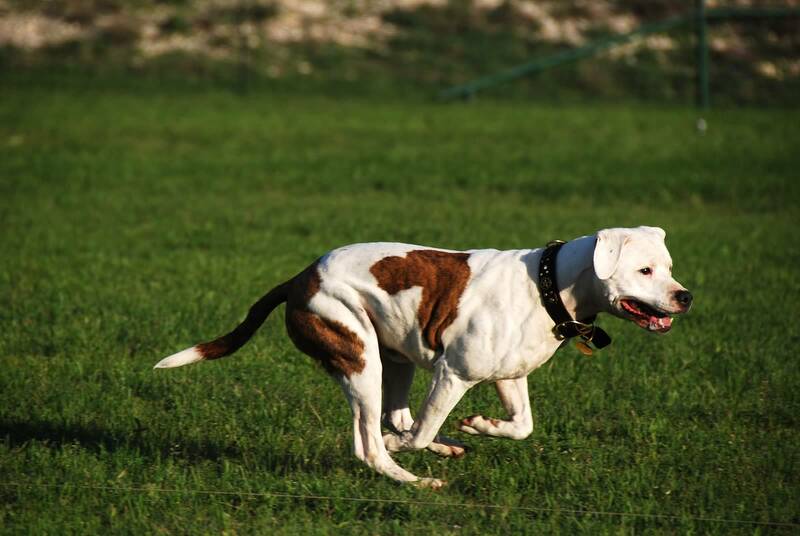 I have always wanted to try lure coursing with Shiva as she loves to run but I don’t know where to find the opportunity. Maybe I should hit up google and see if there is anything like it in our area. 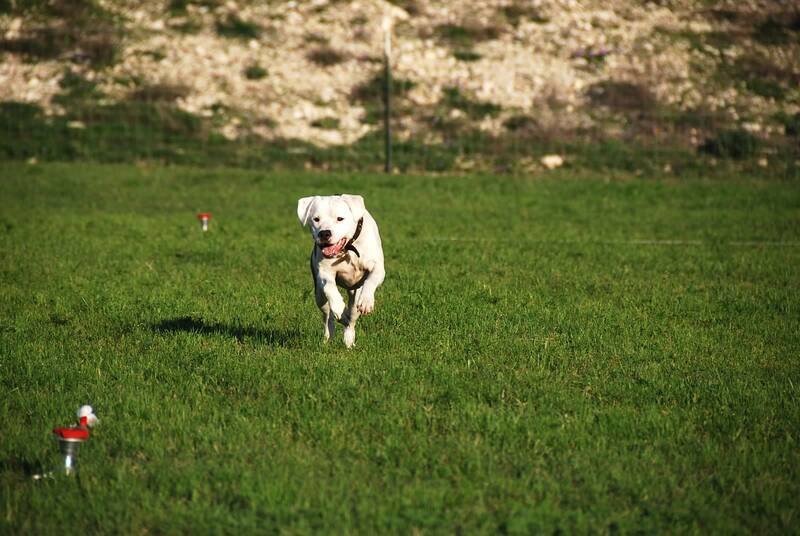 As you know, I am a firm believer that dog sports are the perfect addition to any training program. Our dog was quite fearful when we adopted her and would freak out at the sight of anything unknown, including large rocks and plastic bags lying in the street. When we started training in agility, it gave her so much confidence that now almost nothing holds her back: not a rock, not a tippy dog walk. She takes everything on now with such bravery that I almost wonder if we did too good of a job! I also agree that there is nothing like these activities for tiring a dog out. Mental work is so much more involving than physical. Shiva can run around the park for hours and still want more but after a few sessions with some mentally challenging weave poles, she is done for the rest of the afternoon. 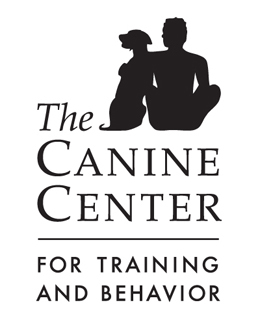 Furthermore, formal training classes gave us many opportunities to work on Shiva’ dog and human reactivity in a controlled setting. I was stunned when I found out that most of the other participants have dealt with reactivity on some level as well. Everyone was really understanding and very good about giving dogs space when they needed it. 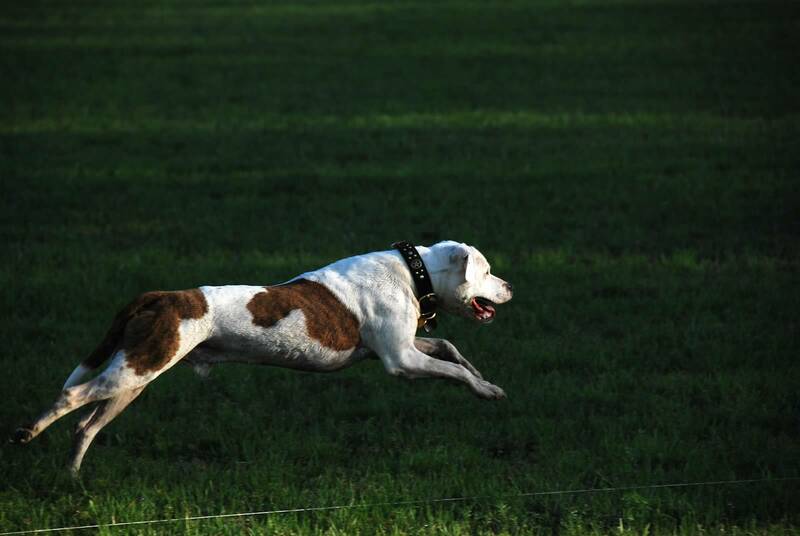 Dog sports are not just for perfectly calm and relaxed dogs. In fact, it sometimes it seems like quite the opposite! Chick – I’m very impressed with your muscular form! Wow – you’re in good shape, buddy!! You and Doodlebug are so lucky to have a mama and dad who love you both and nurture your need for physical and mental stimulation. Loved today’s post. Love the boat pictures! My husband used to say that doing thing (obedience, etc.) is a dog’s job and if they don’t have a job, they often get into trouble. I’m going to write about Janie’s playing one of these days soon. 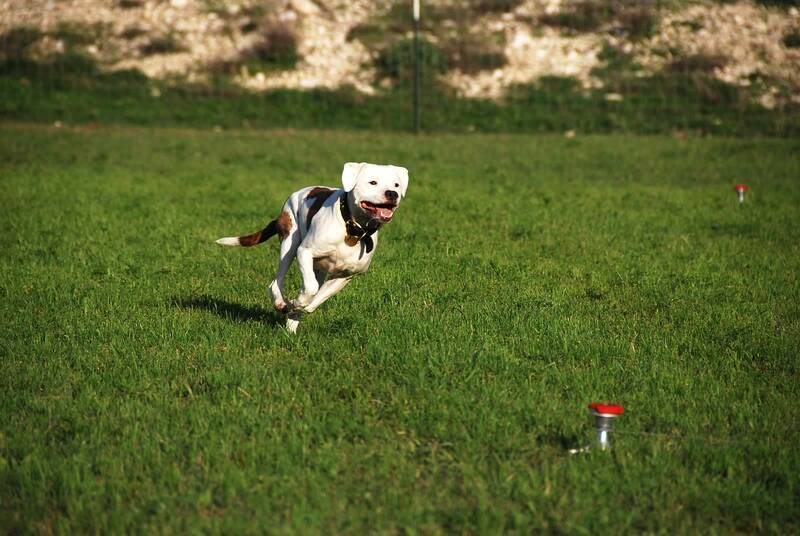 Some rescue dogs don’t know how to play because they never had a chance to learn. So sad! i’ve been working pebbles with the flirt pole, or as i like to call it “the pitbull fishing pole” and she LOVES it. it was hard to get her to follow the rules at first, because she would get soooooo excited, but she’s getting really good at waiting to start until i tell her to, and sitting and down-staying before then. she’d play with it all day if i let her! as everyone before has said, it’s not just good physical exercise (you should see her muscles!) but it works her out mentally, too! she has to try so hard to stay focused, and she works hard to figure out how to get closer and closer to catching that toy! it’s good work for mama, too, as i have to keep trying to outsmart her. she’s getting very crafty at catching it! Rachel–do you have any video of what you do with the flirt pole? I hadn’t heard of a flirt pole before this, so any info about what you do would be most welcome!